Believe it or not, I was never a big fan of Tiramisu up until I went for a visit to Roma; there I fell in love head over heals with Tiramisu. I also then realized, it wasn’t the Tiramisu that I didn’t enjoy, but the Tiramisu I have had in the past. I realized that as much as it seems to be a simple dessert, it is really all about the right ingredients. 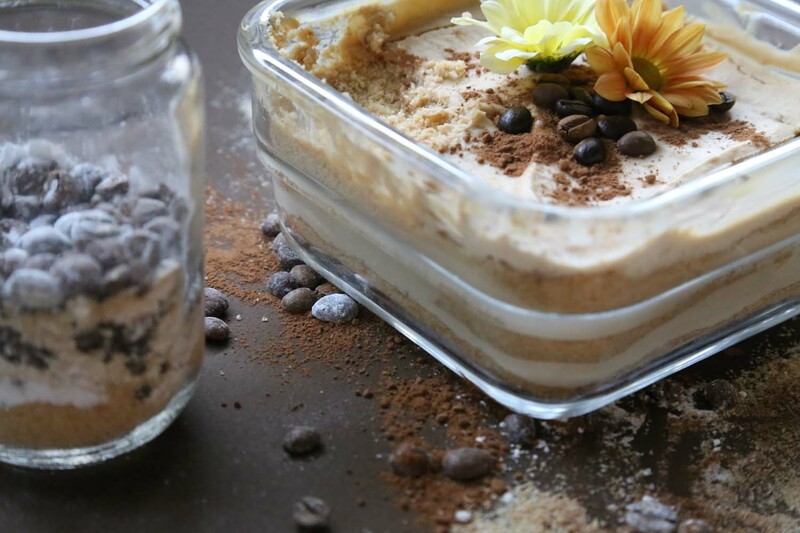 It has been said that Tiramisu was invented not long time ago in the 1960’s and the word Tiramisu means “Pick me up or Lift me up” which is perfect sense to a great dessert. 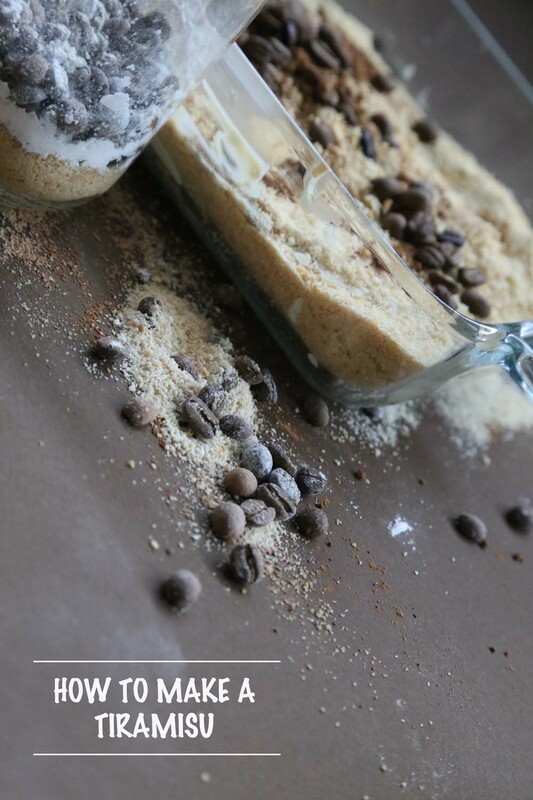 The basic ingredients of Tiramisu are the ladyfingers and mascarpone cheese. Rome didn’t only teach me the real taste of Tiramisu, it also taught me that Tiramisu does not only come in coffee, but can come in so many different flavors, the original Tiramisu of course is coffee based. If you do happen to live in Rome, or plan on visiting make sure you try Pompi which is located near by the Spanish steps. There I have tried the best strawberry tiramisu, mixed berries, hazelnut, and the very famous classic Tiramisu. I also recommend that if you go, you should try the local Roman restaurant Felice in Testaccio that serves great local food and one of the best Tiramisu I have ever had. 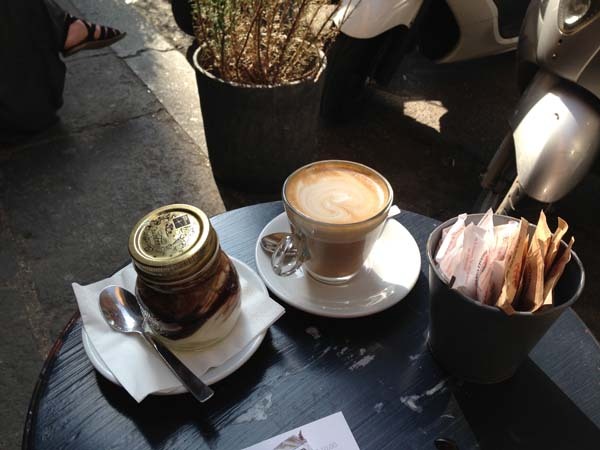 Not to forget mentioning one last stop in Rome for a great Tiramisu experience and a beautiful place to check out as well; Angelina, I tried the one that is very close to Fontana di Trevi and you can experience a Tiramisu in a jar with one of the best cup of coffees. If you wish to learn more about my experience in Rome you can always check my travel section by clicking here Rome. And so it is only natural that when I went back home, I started craving Tiramisu again, and I didn’t know where to go to find good Tiramisu in Jordan so I decided to experiment myself until I find the best recipe ingredient, and so I did. 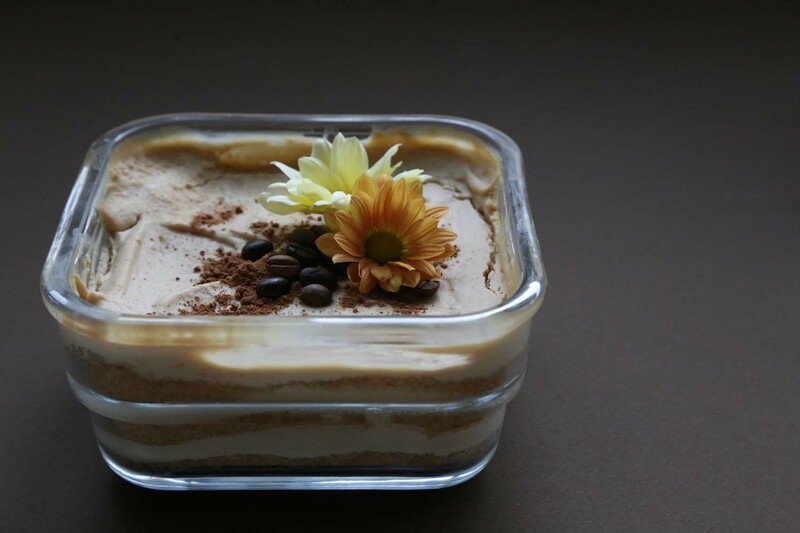 Today I decided to share with you my outcome of a great taste to a great home-made Tiramisu. I made several relatives and friends try it and I am certain that if you put the steps below together you will be very pleased with the results. My recipe is a combination of 2 online recipes that I selected from over 8 different recipes I tried. 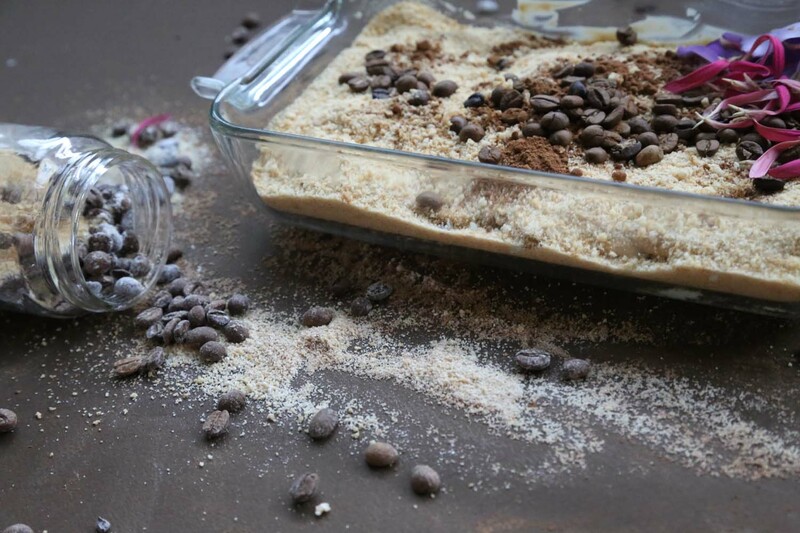 I took the basics that I found delicious from Cooking with Ruthie as for the flavoring I decided to add chocolate from the recipe steps of Sugarhero and therefore my recipe includes a taste of chocolate added to the coffee based Tiramisu. I would love to hear your opinion after trying the recipe below, I truly hope you enjoy it as much as I did, and still do, looking forward to hear your opinion on my blog. Prepare the coffee and espresso in advance, pour them into a bowl and leave themto cool. Add the chopped chocolate or chocolate chips into a small bowl. In a small saucepan add the cream over medium heat and turn heat off before boil. (Once you see small bubbles). Pour the cream over the chopped chocolate and leave on the side for a minute. After one minute mix the melted chocolate with the cream and add to refrigerator until melted chocolate is looking like cream. In a separate large bowl, mix the egg yolks and sugar until light and fluffy. Add on top of them the mascarpone cheese and vanilla and mix well. In a separate bowl on an electronic mixer beat the white eggs until looking creamy. Add the white soft eggs into the mascarpone and yolks and fold using a rubber spatula. Pour in your coffee and espresso into a small bowl and prepare your serving plate and remove your buttered chocolate from the refrigerator. Start slightly dipping your ladyfingers into the coffee and lay over your serving plate the first layer one ladyfinger after the other. Add a thick layer of mascarpone cream over the ladyfingers and then add a thin layer of the chocolate cream over the mascarpone, repeat until your plate is full and end your layers with the mascarpone cream. 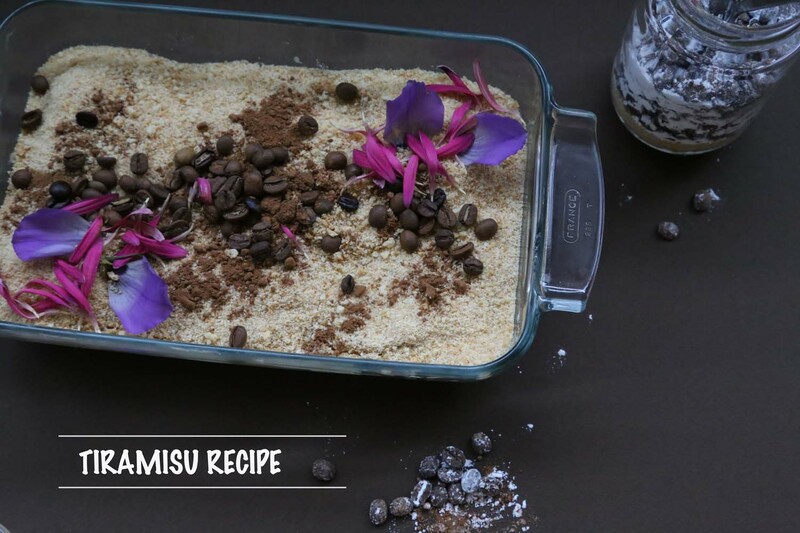 Mix the cocoa, shredded chocolate, cinnamon and sprinkle it on top of your tiramisu. Refrigerate tiramisu for at least 2hours, I prefer to leave it over night before serving. Tip: You can always leave the tiramisu sealed and refrigerated for over 5 days before serving.